What was the Civil War like for the families of those who chose to fight? Nick Adams will be telling one such story in a thematic outline of his new book: Away at War: A Civil War Story of the Family Left Behind. This will be a follow-up to his presentation last year which focused on the 100 letters his great-great-grandfather wrote back from the Western Theater battlefields (My Dear Wife and Children: Civil War Letters from a 2nd Minnesota Volunteer). He will share with us the terrible impact, the pain and anxiety, and the untold suffering war can cause the families of soldiers. With the winter of 1861 approaching, Minerva Griffin and her three young children are alone on the Minnesota prairie, for the husband and father of the family has left them for the fight to preserve the Union. She is now responsible for preserving both farm and family for his hoped-for eventual return. It is a true tale, developed from his letters home, of the difficult struggle to survive experienced by those left behind. Nick Adams’s passion for the American Civil War began at the age of nine, when his mother first told him about her great-grandfather, David Brainard Griffin, who had fought with the 2nd Minnesota Regiment of Volunteers, and had been killed at the Battle of Chickamauga. What she didn’t tell him about at that time was the 100 preserved letters he had written back to his young family on the Minnesota prairie … because she didn’t know about them, for they had been passed down in another branch of the family. When they were finally shared with her some forty years ago, she was permitted to make a single copy, which she graciously gave to Nick because she knew of his life-long interest. The originals are presumed no longer to survive, but his copies have been deposited with the Minnesota Historical Society. Following post-graduate studies in Church History (Abilene Christian) and Sociology of Religion (University of Iowa), Nick spent 30 years in Pastoral Ministry and Social Justice, then returned to teaching, this time at the Elementary School level, and completed 20 years in the classroom. It was during those classroom years that the letters were given to him. By reading his personal account of involvement in the conflict, they became the perfect instrument for creating student interest in the period. Since retirement, Nick has authored three books about the letters. Last spring he presented to our roundtable his story, as related in the letters (My Dear Wife and Children: Civil War Letters from a 2nd Minnesota Volunteer). 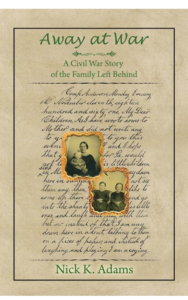 This year he will tell his family’s story: Away at War: A Civil War Story of the Family Left Behind. This entry was posted in Meeting announcement on March 29, 2019 by hlj. Civil War Quiz: What Do You Know About the Funeral and Burial of Abraham Lincoln? Q#1 – After being assassinated, where was Lincoln’s body first laid in state? Q#2 – A catafalque was hastily constructed to support the casket of Abraham Lincoln while the president’s body lay in state in the Capitol Rotunda in Washington, DC. What happened to that catafalque after Lincoln’s body was removed? Q#3 – At the funeral service in Washington DC, who offered the sermon and also a prayer and benediction, which moved many listeners to tears? Q#4 – Lincoln was laid in State in 12 locations; which two locations that were located in the same state are missing from this list: Washington, DC, Baltimore, MD, Harrisburg, PA, Philadelphia, PA, New York City, Albany, NY, Buffalo, NY, Indianapolis, IN, Chicago, IL, and Springfield, IL? Q#5 – What name was given to Lincoln’s funeral train which had his portrait fastened to the front of the engine above the cattle guard? Q#6 – What was the purpose of the pilot train that preceded Lincoln’s funeral train? Q#7 – Why did Lincoln’s funeral train take the 1654 mile route that it did? Q#8 – Why was Lincoln’s funeral train limited to 20 miles an hour? Q#9 – In addition to Lincoln’s body, there was a second body on the funeral train; whose body was it? Q#10 – Why did Lincoln’s wife Mary Todd Lincoln remain at the White House and not travel on the funeral train? Q#11 – The funeral procession in New York City had the most number of horses of all the processions used to draw Lincoln’s hearse – how many horses were used? Q#12 – During Lincoln’s funeral procession in New York City, what future US President watched the procession with his grandfather? Q#13 – What was the name of the cemetery in Springfield, IL, where Lincoln was interred? Q#14 – What happened to the railroad car that so famously carried Lincoln’s body to its final resting place? Q#15 – In November 1876, why did Chicago counterfeiter James “Big Jim” Kennally plan to steal Lincoln’s body? This entry was posted in Quiz on March 27, 2019 by hlj. Chris Mackowski: A Professor of Journalism and Mass Communication at Saint Bonaventure University, and the author of more than 10 books. He works with the National Parks Service and is the founder of the Emerging Civil War Blog. David A. Powell: A Vice-President of Airsped, Inc., a delivery firm. He has published many articles in magazines & historical simulations of different battles. He specializes and leads tours on the Battle of Chickamauga. Sarah Kay Bierle: A Managing Editor for Emerging Civil War’s Blog. She has spent the last few years researching. writing, and speaking across the country about the American Civil War. Paul Kahan: An expert on the political, diplomatic, and economic history of the United States in the nineteenth century. Dr. Kahan has published several books and is a former resident of Sacramento. 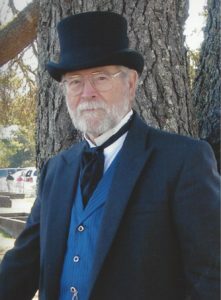 Jim Stanbery: A retired Professor of Political Science and History at Los Angeles Harbor College, and speaker at the West Coast Civil War Conference for more than thirty years. He is a frequent CWRT speaker. Theodore P. Savas: An attorney, adjunct college instructor, award-winning author, and Partner and Managing Director of Savas Beatie LLC. He specializes in military history and the American Civil War. Edwin L. Kennedy Jr.: A graduate of West Point and former Professor of the U.S. Army Command & General Staff College History Department & Combat Studies. He is the leader of staff rides, including the Battle of Chickamauga. The Conference cost is $200 per person, which includes Friday dinner, Saturday lunch and dinner, as well as all sessions. A full hotel breakfast buffet is included for guests staying at the hotel. Partial day attendance: Friday Only is $50; Saturday Only is $125; Saturday Dinner and Lecture Only is $50; Sunday Only is $25. There will be a no-host bar set-up Friday and Saturday evenings for your enjoyment before dinner. Download the flyer and registration form. For more information, contact Paul Ruud at 530-886-8806. Room reservations are available by calling the Crowne Plaza Hotel directly at 877-504-0054 or online at www.crowneplaza.com. The hotel has rooms set aside for us at $139 per night, plus tax. Please mention the Conference. This entry was posted in News on March 16, 2019 by hlj. The talk explores the recruitment of African American men into the Union Army, their motivations for fighting, who fought, treatment and experiences in the army, and exemplary service. Although the talk given by Dr. Hilde in her university class only considers African American soldiers in the Union, she hopes to add information on the proposed recruitment of enslaved men into the Confederate Army, a plan that never came to fruition (the war was essentially over) and did not have the support of slaveholders. Dr. Libra Hilde is a professor in History at San Jose State University. She received her Ph.D. at Harvard University in 2003. While she teaches a broad array of undergraduate and graduate courses, her research focuses on race and gender in the 19th century U.S., with a particular emphasis on the Civil War and slavery. This entry was posted in Meeting announcement on March 8, 2019 by hlj.